QUETTA: Hazara political parties have threatened a civil disobedience movement against the targeted killing of their community members, the latest episode of which saw four Hazaras being shot dead on Monday evening. A complete shutter down strike was observed on Tuesday in parts of the provincial capital against Monday’s killings on Masjid road. All major shops and markets remained closed on Toghi Road, Abdul Sattar Road, Alamdar Road, MecChongi road and their adjoining areas. Political leaders of the Hazara community have held state institutions responsible for the attack. At the Quetta Press Club, chiefs of the various Hazara political and rights groups gathered to address a press conference including Hazara Political Workers’ chief Muhammad Tahir Khan Hazara, Hazara Jirga chief Qayyum Chengaizi, president of the Shia Conference Daud Agha and Member Provincial Assembly Agha Muhammad. They demanded an immediate halt to the targeted killing of Hazara youngsters. “If this series does not stop, we will jam the entire city with other sympathising parties,” they said, adding that the killers of the four persons on Masjid Road were also also responsible for the killing of three at Khud-e-Dad Chowk. 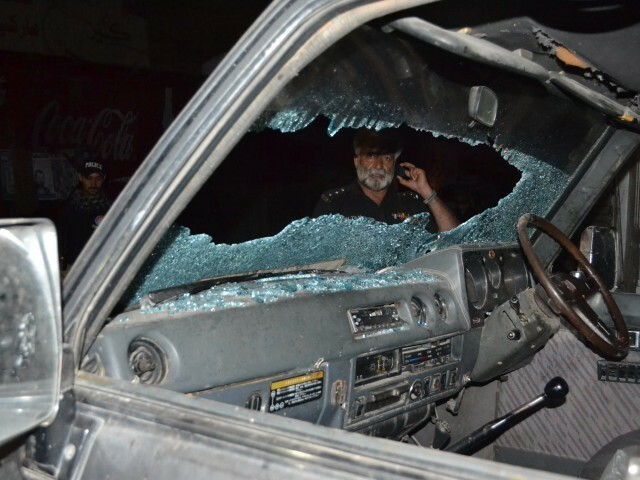 They said that the attacks had been carried out as part of a conspiracy to promote sectarian violence in the city. The Hazara leaders said that they were out of ideas for where they could go to secure their constitutional and human rights, adding that thousands of Hazara youngsters have been killed during the past few years. “State institutions are directly involved in our massacre,” they alleged and added that instead of providing them protection, Hazaras were being pushed against the wall. With the stores closed, the streets appeared barren. Stringent measures of security were adopted by the government and law enforcement agencies including police, Frontier Corps (FC) and the Anti Terrorist Force patrolled the area.